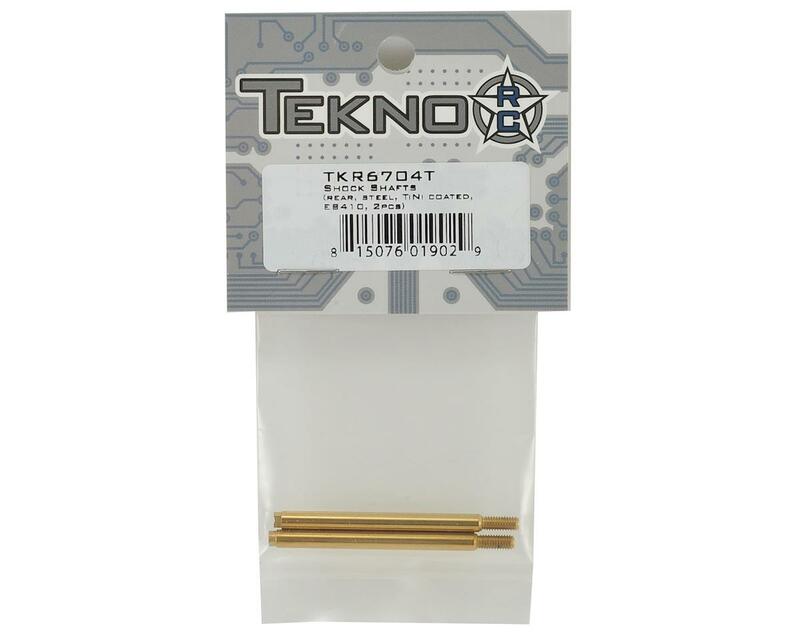 Tekno RC EB410 Rear TiNi Coated Shock Shafts. This is an optional upgrade for the Tekno EB410 4wd buggy. 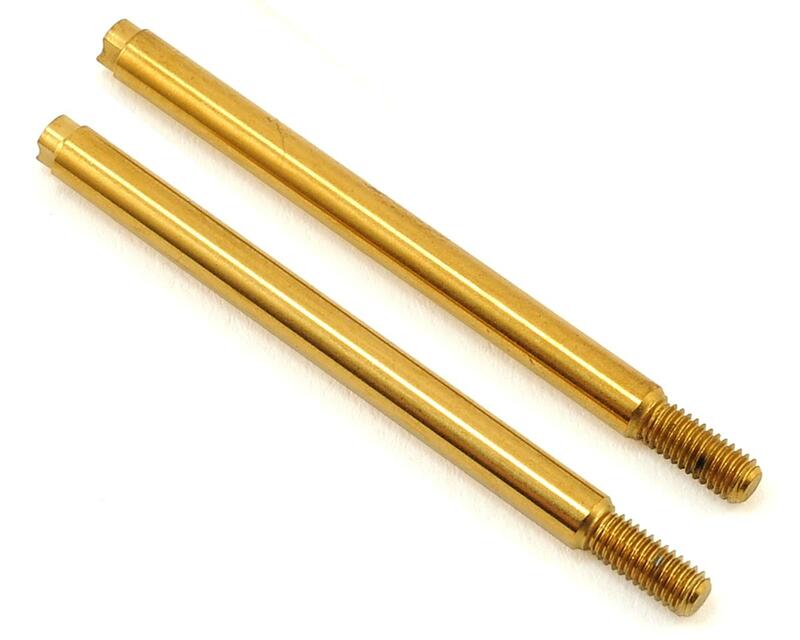 Ti-Nitride shock shafts are smoother, and longer lasting that standard coated shock shafts. Package includes two shock shafts.